"An idea which can be used once is a trick. If it can be used more than once it becomes a method." DGM is a Fortran implementation of the discrete gradient method for derivative free optimization. To apply DGM, one only needs to compute at every point the value of the objective function. The subgradient will be approximated. The software is free for academic teaching and research purposes but I ask you to refer the reference given below if you use it. - discrete gradient method for unconstrained problems. - discrete gradient method for generally constrained problems. 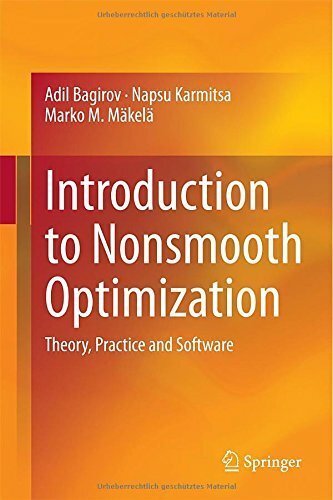 A. Bagirov, B. Karasozen and M. Sezer, "Discrete Gradient Method: Derivative-Free Method for Nonsmooth Optimization", Journal of Optimization Theory and Applications Vol. 137, No 2, pp. 317-334, 2008.